Last sunset of winter. Now we just need the snow to melt! I was so excited to capture this photo of the full moon last week! Such a beautiful sight. Majestic Mount Katahdin from Abol Bridge. The sunrise was gorgeous on this morning in early January in Dover-Foxcroft, Maine. A local stream in the woods after a fresh blanket of snow. Lowes Covered bridge in Guilford, Maine. 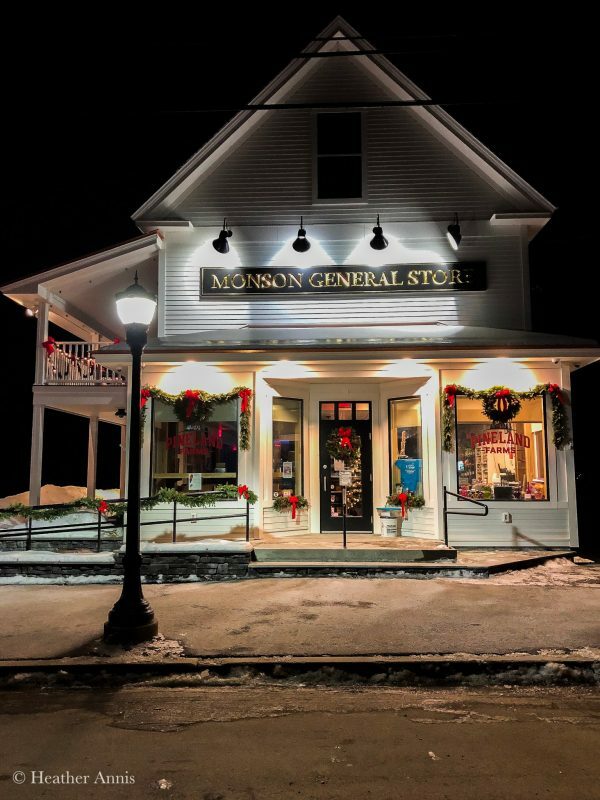 Monson General Store in Monson, Maine. Sunset in Dover-Foxcroft, Maine along the Piscataquis River. From a cold but sunny day in November. I was so happy to capture this sunset on the Piscataquis River recently. A beautiful scene to pull over on the side of the road and take a picture of. This road in Dover-Foxcroft, Maine is beautiful in the fall. I am so happy I captured it when I did.